Besides being selected for the KunstSmullen Heeze exhibition I was invited to lead an art project at one of the local primary schools, the results of which were going to be exhibited next to other community projects along the art route as well. I let kids of 4 levels, aged 6 - 9, wrap large pine cones, branches, plastic bottles and thick wire with strips cut from their own old clothes and tied with remnants of knitting yarn. In this way I made them more aware of the enormous amount of waste we are all producing next to realising that much can be reused. The techniques were not difficult, the kids had so much fun in making the art pieces and more than 100 wonderful and colourful wrappers - as we called them - were created. More images of the KunstSmullen Heeze 2018 art route. 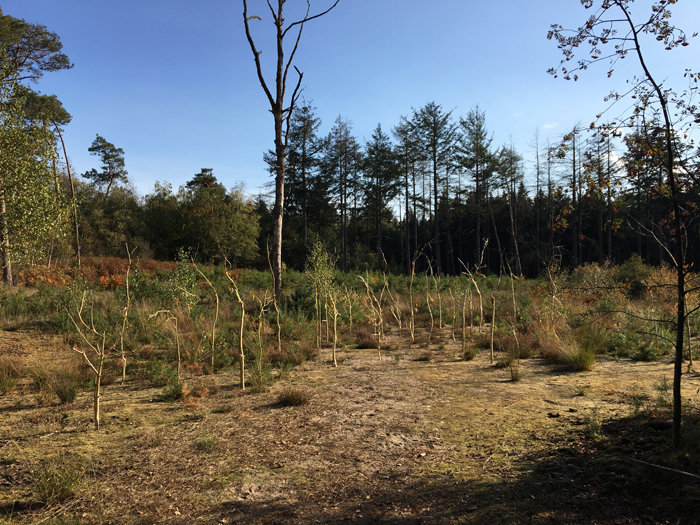 12 October - 12 November 2018, art route KunstSmullen 2018 Heeze, in the woods around conference center Kapellerput, Heeze. 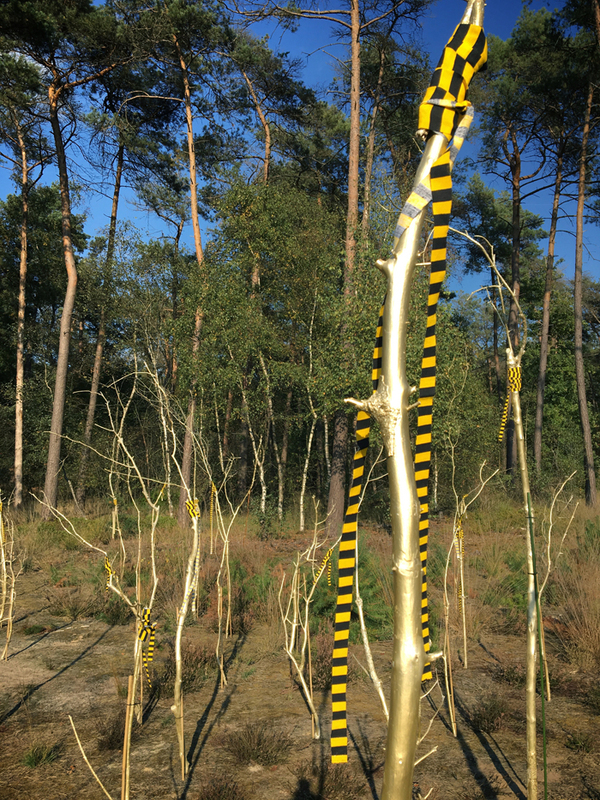 Installation of about 30 gold painted trees to show the preciousness of nature. Serendipity maximus from Mirjam Pet-Jacobs on Vimeo.